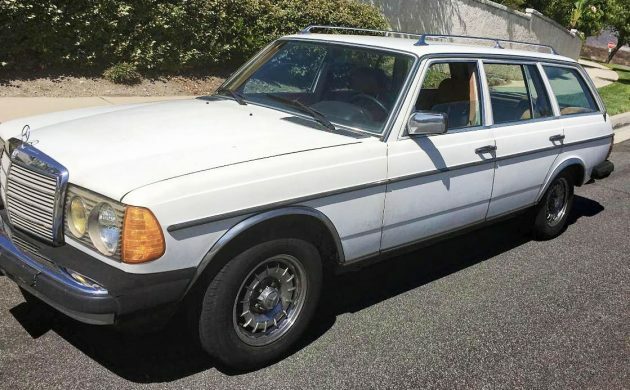 When it comes to diesel-equipped W123-era Mercedes, the mileage on this 1980 longroof model is downright low. With just 168,000 on the five-cylinder mill, this wagon has many miles to go before it sleeps. While not the desirable turbocharged example (you will be moving slowly), these cars have cockroach-like tendencies for survival and will be here long after the gigantic meteor wipes us all out. Find this example here on craigslist where it’s listed by the same owner of the last 17 years for $3,600. 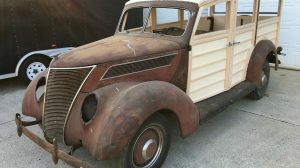 Thanks to Barn Finds reader Miguel for this California find. 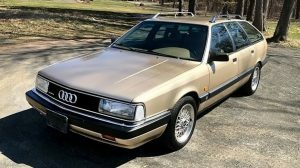 The 300TD badging might lead you to believe there should be a turbodiesel under the hood, but all the TD describes is the touring-style body with a diesel engine. Actual turbocharged examples would have the word “Turbo” planted somewhere, rest assured the slow and dependable OM617 inline-five is under the hood, chugging away. This example has been repainted, which is a shame because the original burgundy color is one of the best on this model. 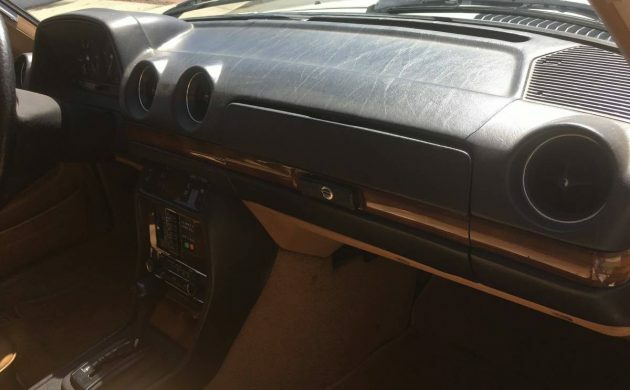 The interior is holding up nicely, and I suspect this photo was included to showcase the fact that the dashboard remains crack-free. Of course, the Mercedes seating surfaces show virtually no signs of age, as is typical for Benzes of this era. The automatic transmission has been rebuilt, according to the seller, at 135,000 miles. The original radio was also rebuilt, which are the sort of things only a compassionate owner will spend the money to do. 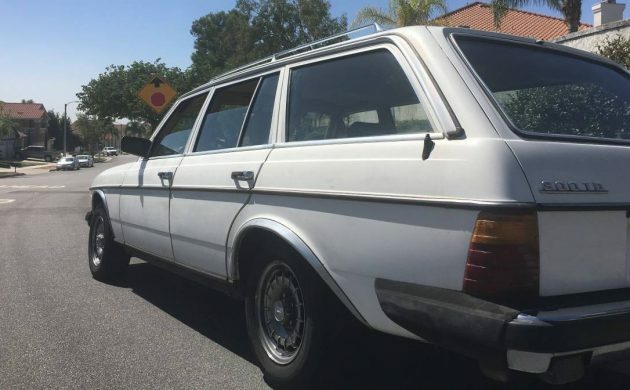 It’s safe to say based on these details and the long list of recent maintenance items in the description, this W123 wagon has been loved. The only detail that would set this one over the top would be the inclusion of the optional third-row seat in the rear. The engine bay reveals the cheapy repaint’s limitations, as the shock towers retain original paint. The engine is downright appliance-like in terms of appearance, but that’s OK – this one isn’t meant to be pretty. These engines are known to outlive the cars themselves, so sub-200,000 miles is nothing on a platform like this. 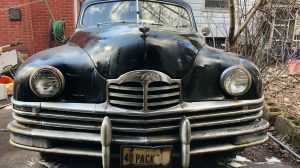 The seller speculates the engine has been rebuilt, similar to the transmission, but can’t verify that detail. Regardless, for $3,600, you could do far worse. Not very often you would see a long-roof with a diesel but they were out there. A lot of MB 5 cylinder jobs came through our shop. I tuned one up for a guy and he thought we owned the moon, and told his friends. I didn’t think I performed much of a miracle; I actually enjoyed the diversion from the normal boredom that the shop could bring. 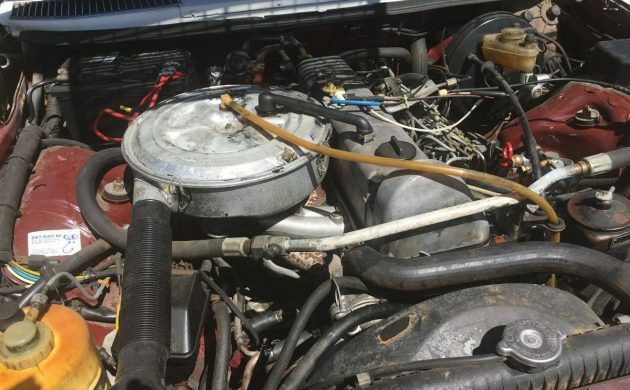 Regardless, it’s a diesel engine with a Bosch fuel injection system that shares parts with John Deere, Case, International, Cummins and numerous other engine builders out there. 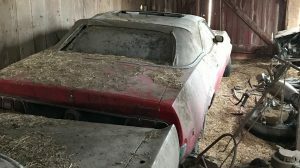 I think one of the biggest challenges was getting some customers used to the fact that their beloved personal luxury car was going to share space with some rancher’s flatbed truck, complete with bale hauling hardware, or a tractor that had obviously been used to clean up the barnyard. But that’s life in a small town service shop. Worked on a few of these as well. We always used Shell Rotella in all of the diesels that came through the shop. These are great highway cruisers for sure and will get 30+ on the highway if your foot is not too heavy. Didn’t all the wagons of this vintage have a diesel of some kind? Nothing wrong with oil used on farm equipment. Oil companies want us to believe that we need all these special oils, but it’s mostly snake oil (no pun intended). What works on an engine in the field under dusty conditions works for sure on a car on the road. Why do I keep getting blocked from posts? I’m being forced to buy a membership. I try to contact you and it won’t work. @glen – You must have hit your free weekly limit of 50 posts. You obviously enjoy the site so why don’t you become member? It helps us out and you get a better browsing experience. The price is less than most people spend on a couple cups of coffee. Surely we provide more than $2.50 worth of entertainment every week? I do enjoy the site, have been for years, never heard of this 50 posts limit before. This was the car a lot of parents had of the kids I went to high school with. I have been accused of not liking European cars, but this is a big exception. There isn’t much to go wrong here, except the automatic transmission. This is my favorite body style for the Mercedes and as the prices are going up and up, I am not sure if I will ever get one. there isn’t a Mercedes mechanic where I am for hundreds of limes. I tried to take my 1983 3.8 6 cylinder Capri into Midas for a tune up and they told me they don’t know anything about carburetors so I had to take it somewhere else. i often go to dark places when looking at used car ads but this one rings all sorts of alarm bells. regardless i like it and at $3,600 the price is right if it checks out. Having worked on similar cars, there were some problems with this vintage. We had one come into the shop with 176K miles on it, and it suffered from the aforementioned loose crankshaft timing gear. The camshaft itself was shot (because MB and other makers had troubles with them). The owner had problems with transmission oil cooler lines leaking which led to an early failure of the transmission. Contrary to popular belief, MB cars break down. So many people think they should go a million miles trouble free but a former co-worker, who hailed from The Netherlands, told me that in Europe, the MB is simply ‘another car.’ They’re used as taxis, haulers and family transportation. And they break, just like everything else does. Nobody has mentioned how many of these w123 cars have or had failed odometers. It’s almost a certainty. Best test is to see how they start when ice cold. Then get ‘em nice and hot and loosen the oil fill cap and observe the blow-by. I owned one, 1981. The TD wagons have a hydraulic pump on the motor that supplies a set of rear end self leveling shocks. I could take a corner way to fast and never feel any sway. I still miss that jewel.